Jean-Philippe Deschamps is an innovation management practitioner with 40 years of international consulting experience. At IMD, which he joined in 1996 as professor of technology and innovation management, he focuses his research, teaching and consulting activities on the management and governance of innovation and on the profile and focus of innovation leaders. Before IMD, he was a vice president and practice leader with consulting firm Arthur D. Little. He is the author of numerous cases, articles and book chapters, and Product Juggernauts: How Companies Mobilize to Generate Streams of Market Winners co-authoredwith P. Ranganath Nayak (Harvard Business School Press, 1995) and Innovation Leaders: How Senior Executives Stimulate, Steer and Sustain Innovation (Wiley/Jossey-Bass, 2008). He has given conferences and lectures throughout the world, including the prestigious 2010 Millenium Prize in Helsinki, the equivalent of the “Nobel prize” for technology and twice as a speaker at the World Economic Forum in Davos. He lives near Lausanne and is married to a practicing psychoanalyst and author Beebe Nelson has worked as an innovation and product development consultant and facilitator for the past 25 years. As co-director and then director of the IAPD (International Association for Product Development) she helped leading innovation companies refine and improve their innovation practices. Her articles on innovation and product development have appeared in publications of the PDMA (Product Development and Management Association) as well as other professional publications, and she has given lectures and seminars on innovation topics. She holds a doctorate in philosophy from Harvard University and has taught philosophy and management at the University of Massachusetts at Boston and at Lowell. 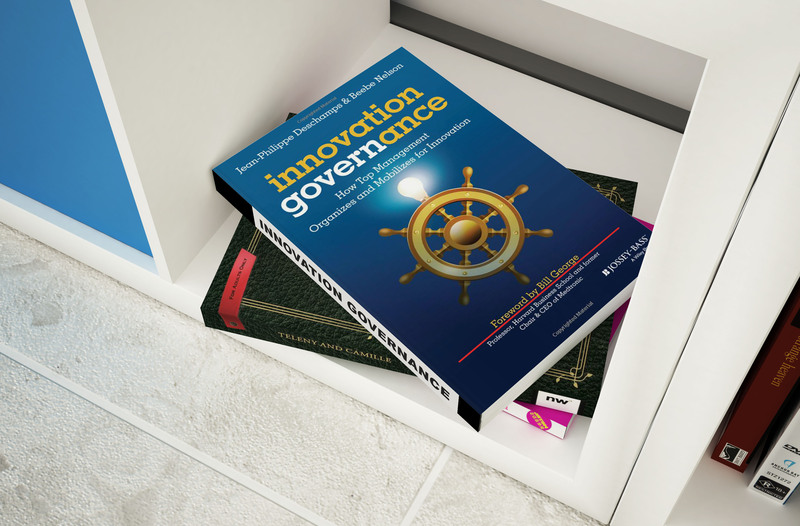 The publication of New Product Development for Dummies (co-authored with Robin Karol, Wiley, 2007) marked the maturity of the product development field and pointed clearly to the need for excellence in innovation governance.